When I'm not quilting, I'm thinking about quilting or writing a blog post about quilting. Every quilt I make I want to be perfect in your eyes and mine. I put my heart and soul into your quilt because you put your heart and soul into it as well. No two quilts will look the same with Freestyle Quilting! What is “free-style quilting?” It means I manually move the machine to make a personal design. These designs are everything from simple to very complex such as: swirls, spirals, meandering, stippling, feathering, stars, hearts, butterflies, leaves, flowers, and anything else you can imagine. I quilt on a Gammil Long-Arm Classic Plus Regulated Stitch Quilting Machine, making every stitch the same size. 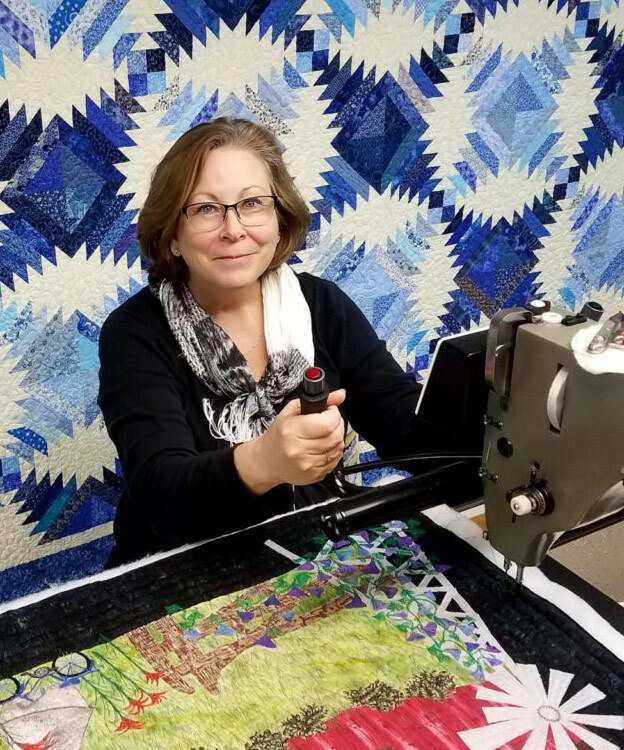 Contact me today about your quilting project.